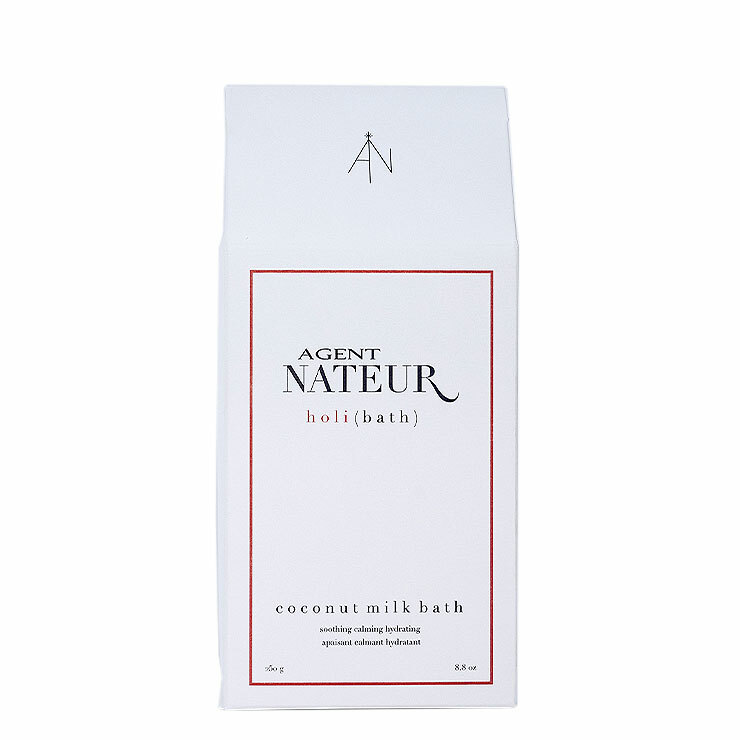 Agent Nateur HoliBath brings the ultimate in luxury to the bathing experience. 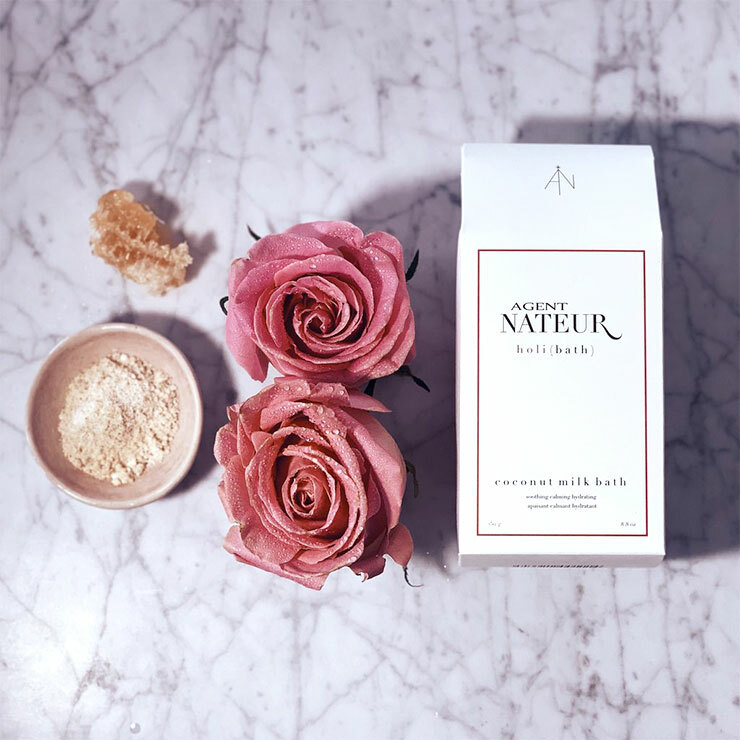 Made with coconut milk to make skin feel ultra-soothed and hydrated, this bath sachet whisks away feelings of discomfort and dryness almost instantly. 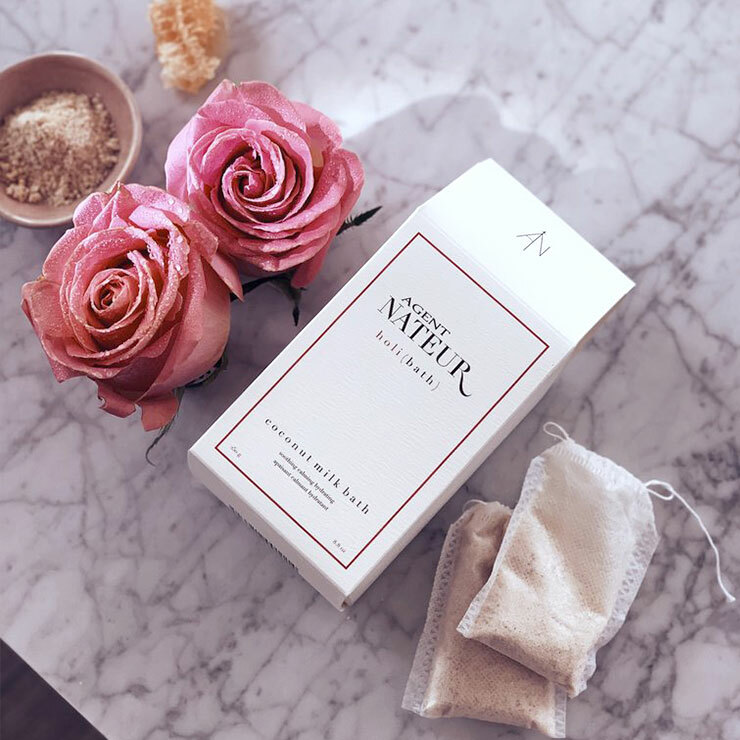 Pink Himalayan and Dead Sea salts cleanse skin and lend a detoxifying feel, creating a smooth, clear appearance. Magnesium diminishes feelings of stress and provides a relaxed feel to body and muscles. Honey gives skin a super soft feel and jasmine visibly improves spots, scars, discoloration, stretch marks, and cellulite. The delicate spiced floral scent pleases the senses. 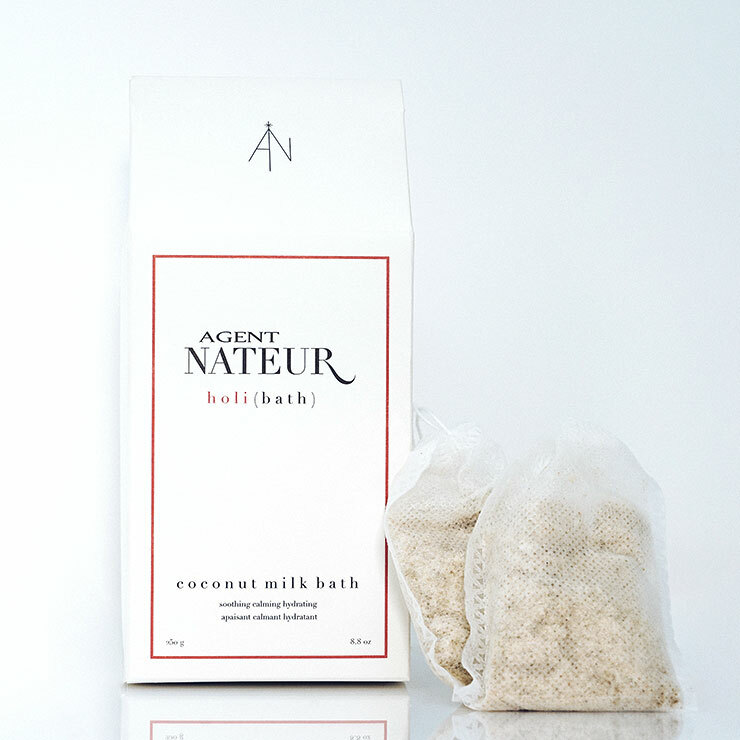 Add 1 sachet to running bath water and soak for a minimum of 30 minutes. Rinse skin and towel dry. Use as often as desired. Cocos Nucifera (Vegan Coconut Milk), Sodium Chloride, Magnesium Citrate, Organic Calendula Officinalis (Calendula), Organic Chamomilla Recutita Flower (Chamomile), Organic Honey, Sodium Bicarbonate, Jasminum Officinale (Jasmine), Rose Damascena, and Santalum Album (Sandalwood).